Fast, simple and clear guest seating. No more crossed out diaries! 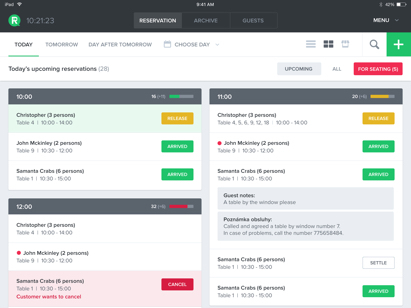 Easy reservation management in your computer and tablet – the electronic Restu reservation book. What benefits are prepared for you? 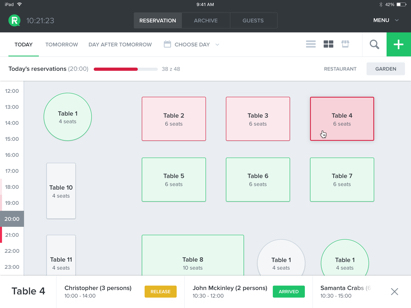 Do you want to have a complete overview of the reservations in your restaurant? With us it's no problem! The newly arrived guest will be easily and quickly seated by you and you will know immediately your actual available capacity. They are a valuable aid and notes for individual bookings. In retrospect you to every book you can go back and work with it. Each reservation is saved. 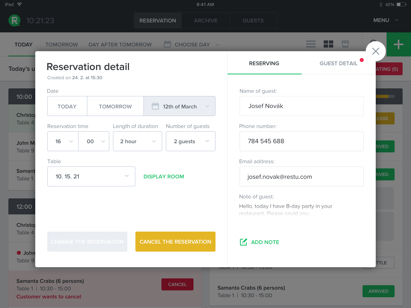 Thanks to that you can in the future adjust the capacity, the table layout or set the maximum number of guests on a reservation and they are not the only gadgets! The notes for the individual reservations are invaluable. 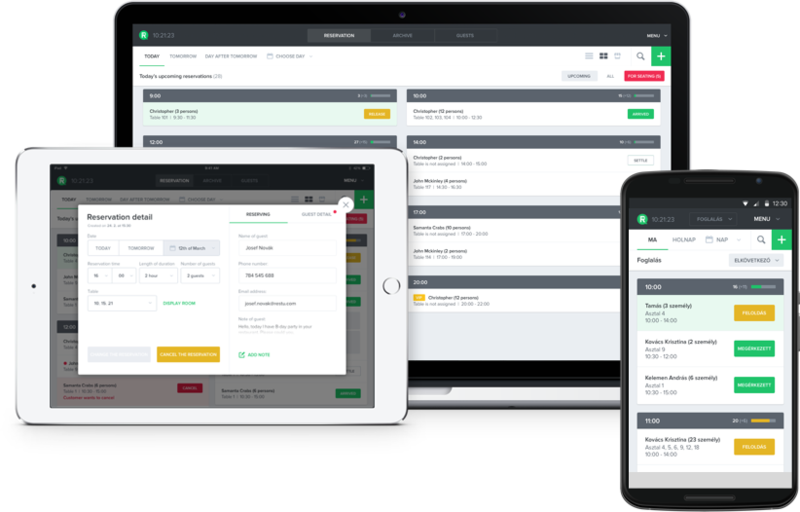 In retrospect, you can trace how many guests you seated in any given month and so by that you simply get an overview of your restaurant traffic. No more unhappy guests! Let them know with one click that you are already full! 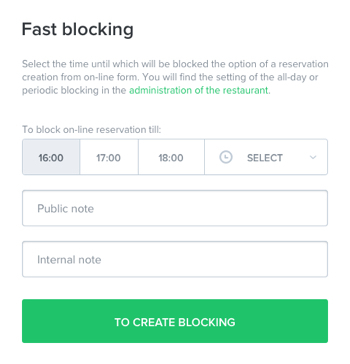 Just set up the online reservation blocking and Restu users will immediately know that your restaurant is fully booked. Vegetarian or guest with an allergy? Be a step ahead and surprise your guests by giving them a sense of uniqueness! Not just for each reservation, but also for each guest you can make a note. Next time you will know what has delighted him or her as well as what to watch out for. Has it already happened to you that the internet dropped out and suddenly you've lost track of seated guests? No worries now. ERB also works without the internet. 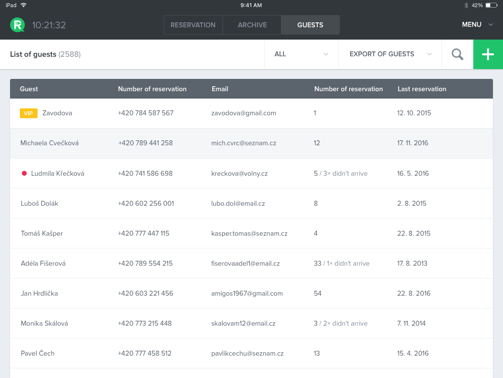 Offline ERB will offer you an overview of guests and reservations including all saved notes. ERB is currently used by hundreds of restaurants, join in as well.